Yes, I know. It's quite the oxymoron. But, more important than that, Jon C has been playing detective. And a very good fist he's made of it, too. 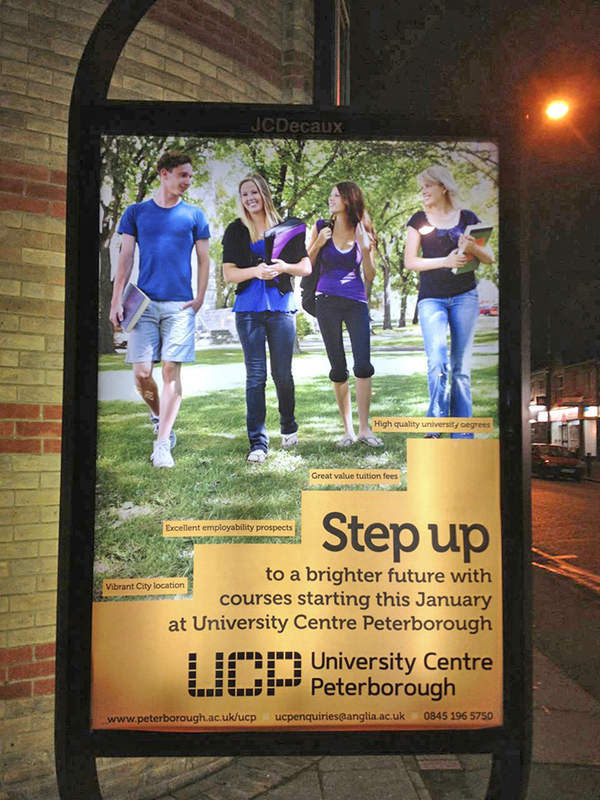 Here's a poster that's being displayed in and around Peterborough advertising University Centre Peterborough which is an offshoot of Cambridge's Anglia Ruskin University. Now, like Jon, anyone from Peterborough will know that there is nowhere in that otherwise fair city that looks remotely like this and he suspected that the photo had been taken somewhere else. So he donned his deerstalker and dug around a bit. Very quickly a search in Google images unearthed the photo in a German image library and Jon sought out the photographer, Tyler Olson, a Norwegian currently living in Canada. Tyler assured Jon that the photo had been taken on a University campus. But not in Peterborough. Not even at Anglia Ruskin or Cambridge. But at the University of Saskatchewan in Saskatoon, Canada. That's over 4,000 miles and 8 time zones away from Peterborough. 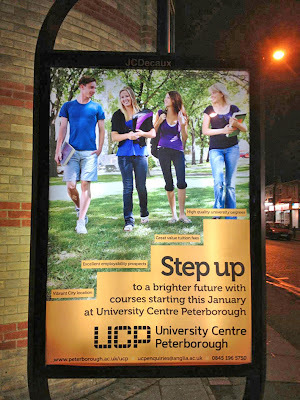 I'm sorry, good citizens of Peterborough, but that's about as far away from Peterborough as the thought of a University in your city. Good on you, though, for trying. But surely there are some equally pleasant places of your own that you could have shown?